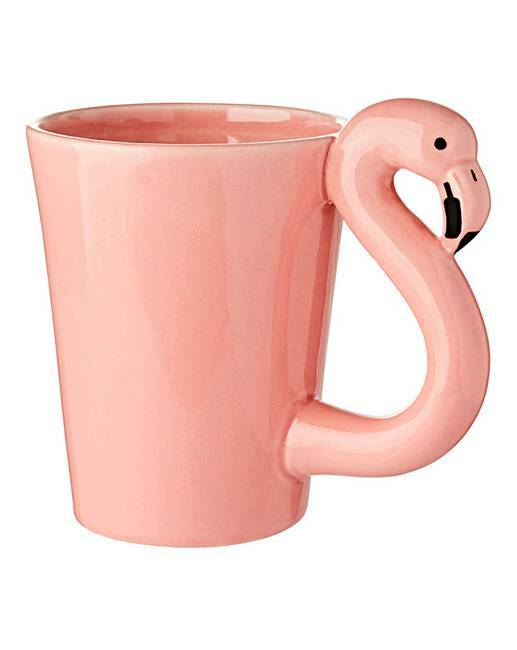 Flamingo Mug is rated 4.4 out of 5 by 7. Rated 5 out of 5 by what difference does it m from lovely mug bought as a gift for my grandaughter,it is a good size and very strong and we'll made,very pleased with it. Rated 5 out of 5 by WIMPEYS from Just lovely I bought this Flamingo mug for my friend who loves Flamingos. Lovely Colour and looks good. Well made. Rated 5 out of 5 by Flamexxx from Pink Flamingo Mug This is a pretty large mug and adequate for purpose, very pretty and a joy to use, as the handle is not just cosmetic, it is comfortable to hold, steadily. Rated 5 out of 5 by Jake from Nice one. Happy as could be expected, well recieved by those whom it was for. Rated 1 out of 5 by Avantika from Flamingo mugs I had to return all the mugs as they were not fit enough to give even as stocking fillers. Would not buy again. The mugs had a bumpy inside finish.